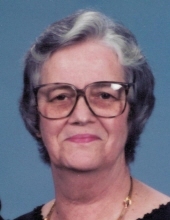 Dolores, aged 82, died after a short illness Saturday, March 23, at Mercy Hospice in Johnston, Iowa. Mass of Christian burial will take place at Our Lady of Peace Chapel, Bishop Drumm Retirement Center, 5837 Winwood Drive, Johnston, Iowa, on Friday, April 5th at 9:30am. Gathering to follow immediately after the service. Interment at Chapel Hill Cemetery, Des Moines, Iowa. Dolores was born on July 20, 1936 in Des Moines, Iowa to John Fitzpatrick and Jeanette Pitt Fitzpatrick. Growing up in Beaverdale, she attended Holy Trinity School through the 8th grade and graduated in 1954 from St. Joseph’s Academy. She met her future husband Larry Long at a wedding reception in 1954. November 30, 1954 Larry and Dolores were married in Des Moines, Iowa at Holy Trinity Catholic Church. Dolores was known as Bonnie by her family and close personal friends. It is a nickname given to her by her father. The name stuck for her entire life. If her father called her Doe, rather than Bonnie, she knew that she was in trouble. Dolores was a devoted wife and mother. She felt a strong attachment to her Catholic faith and Irish ancestry. Her faith in God helped her immensely during her lifetime and she practiced her faith daily. Dolores was a long time member of Holy Trinity, Granger Assumption and St Pius X. As a member of St Pius X, Dolores enjoyed and found fulfillment in becoming an Extraordinary Minister of the Eucharist. Dolores prayed the rosary daily for those in need of God’s help. Dolores was a dear and steadfast friend to many people whom she met during her lifetime. Survived by sons Scott (Jane) of Omaha, NE, Brian (Marcella) of Middleburg, FL, Kevin (Laverne Hereford), Arnold, MO, brother Mike Fitzpatrick, sister Margaret Kinsfater, six grandchildren and six great-grandchildren. She was preceded in death by her husband Larry, parents and sister Kathleen Fitzpatrick Cardamon. The Long family wishes to thank the staff of Bishop Drumm and Mercy Hospice for providing care and comfort to Dolores while she was a resident of the community. We also recognize the support of extended family members and two long-time friends, Vada Ralph and LaVonne Pruitt. In lieu of flowers, the family requests donations to Mercy Hospice, Johnston, Iowa. To send flowers or a remembrance gift to the family of Dolores Fitzpatrick Long, please visit our Tribute Store. "Email Address" would like to share the life celebration of Dolores Fitzpatrick Long. Click on the "link" to go to share a favorite memory or leave a condolence message for the family.